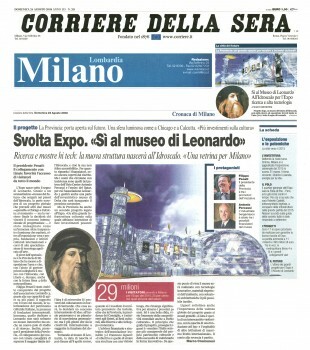 The largest newspaper in Italy the: CORRIERE DELLA SERA is reporting in it's edition of 3 january 2011 that the Italian AntiTrust organization has closed down Xango's operations. Reason: No product compliance for Italy, Health claims and a Compensation plan focused on Recuitment not on Sales. Rome: – His name is Xango. Bottle orange-red, yellow cap, is a drink made with mangosteen juice – no relation to the mango – the fruit of the exotic islands of Sunda and Moluccas, advertised as a powerful natural remedy against a range of 44 diseases, from 'acne to cancer. At a cost of € 115 for 4 bottles of 750 ml, almost 30 per piece. It placed through a network of customer-dealer that acts as a chain of Sant 'Antonio. And it is precisely this system of recruitment, pyramid structure, which has focused the 'attention' s Antitrust. L 'authority to protect competition and the market, its decision of 15 December, called on the Xango Italy srl of Milan, an importer of American brand made in Utah, to suspend all activities of recruitment and registration of new officers' and promotional use only 'without any reference to the healthy properties of the product. The investigations started from the records of consumers' association Altroconsumo, Codacons, Adusbef and FEDERSALUS. Highly dubious about the healing powers of real fruit cocktail (in addition to the mangosteen, which smacks of peach and litchi, Xango Juice contains pear, apple, grape, blueberry, raspberry, strawberry, cherry and cranberry) which, on the website of the Italian firm is touted as a maxi-antioxidant-rich xanthones (as well as catechins and polysaccharides) as good as' antibiotic, antiallergic, anti-inflammatory, antiviral, useful against osteoporosis, psoriasis, menstrual pain, diabetes, eczema, Parkinson's and Alzheimer's. In its decision the 'Antitrust notes that the campaign mode can cause serious error in about the health qualities of the product, not confirmed by scientific research. It motivates the 'intervention with the grave danger of offensiveness Xango system, able to reach and engage even more consumers. The tam tam Internet sales have grown in number and in fact the turnover has increased from 500 thousand to 1 million euro per month and a half already with 21 000 employees. Recruited by a capillary system that works like this: you sign up on the internet by buying the kit the dealer for 34 €. Each charge also agrees to purchase each month, 4 bottles of Xango. The double (230 euro) when it goes qualification, in a hierarchal pyramid consists of 9 classes of sellers. At the bottom of the novices at the top of the 'premier', which can earn up to 50 000 €. But the main task of the individual salesman is not so much magic to sell the drink, but to get other buyers-sellers. It is on this point that the 'Antitrust found the misconduct, because the possibility of gain comes only from the creation of a purchasing organization. substance that has a 'protective effect, of course, to prove, will be present in small quantities, completely inadequate. To be effective, the principle should be administered in much higher concentrations. So the drink would become also a calorie bomb. This mangosteen do not know him, but will not have anything that you can not find in our Mediterranean fruit. Giovanna Cavalli PLAY PRIVATE **** 34 euro, the figure for the seller to receive the kits 21 000 **** are the sellers of the commercial network * Multilevel Degiovanni Virgilio, president of Freedomland, was among the first guru of the multilevel Market. Animator groups of sellers, encouraged, they were sent around to sell house to house links to a web television. Freedomland was publicly traded but on the day the title was withdrawn and the judiciary opened a dossier. “In the past year, XANGO Italy Srl, leader in its market, has thrived as the fastest-growing company in the Italian direct sales industry. 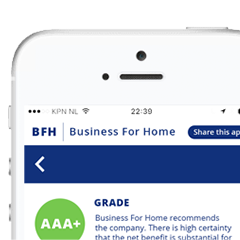 This growth has attracted the attention of consumer advocacy groups and government agencies anxious to understand our success. 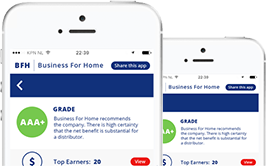 XANGO is committed to consumer protection and has welcomed this opportunity to work together with these groups to develop additional safeguards beyond its already responsible business practices. “Unfortunately, in the midst of this collaboration, the Antitrust Authority has surprised XANGO with an unwarranted ruling to restrict the entrepreneurial activity of tens of thousands of Italians. This ruling has the potential of being replicated to all direct sales companies in Italy—an industry whose 400,000 representatives contribute retail sales of more than 1 billion euros annually to the local economy. As a global industry leader supported by other industry partners, XANGO is challenging this ruling with a strong legal appeal before the TAR. XANGO is confident it will prevail and that this ruling will soon be overturned. In the interim, the company complied with the Antitrust Authority’s ruling. “For more than eight years, XANGO has shared the benefits of goodness of the mangosteen and other natural botanicals, in particular through its global flagship product, XANGO® Juice. In Italy and more than 30 other markets around the world, millions of consumers have safely enjoyed our products as part of an overall natural lifestyle. XANGO also gives back to communities globally by donating portions of its profits to worthy children’s charities through its XANGO Goodness program. In Italy, XANGO supports cleft-lip and cleft palate corrective surgeries through Operation Smile and the Smile House in Milan. A leading global nutrition company, XANGO, LLC is a recognized leader in health and wellness products. 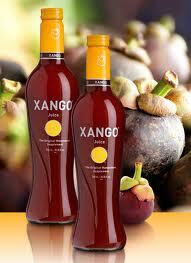 Currently expanding into a wider range of botanicals, XANGO was the first company to market a premium mangosteen beverage, XANGO® Juice, to consumers worldwide. Its roster of premium products now includes XANGO 3SIXTY5™, a whole food nutrition multi-vitamin, Glimpse® Topical Skin Nutrition and eleviv™. XANGO is privately-owned and powered by a global network of more than 1 million independent distributors in the U.S. and more than 30 international markets such as Canada, Mexico, Japan, Germany and Malaysia. For details, visit http://www.xango.com.